Distributor, Bluechip Infotech, has unveiled its expanded vendor lineup as part of it national roadshow following a merger with TrackIT Online. The roadshow introduced the company's broadened approach to vendors, now with 25, following the birth of its new software division, Delivio. Traditionallly a box shifting hardware vendor, Bluechip now has offerings in Cloud, virtualisation, backup, VDI and software defined storage. New vendors include, Kemp, nexenta and Webroot, to complement the likes of HP, ctera, Seagate, Benq, Cyberoam, Acer, Atlantis Computing, ManageEngine, QNAP, Xirrus, Unitrends Teradici, Synology, CyberPower, Crucial, D-Link, LG, OKI, Eaton and tricerat. Bluechip Infotech managing director, Johnson Hsiung, said the biggest growth vendor in the past six months had been internet security company, Webroots. "There are about 10 vendors that have come in from our new division Delivio," he said. 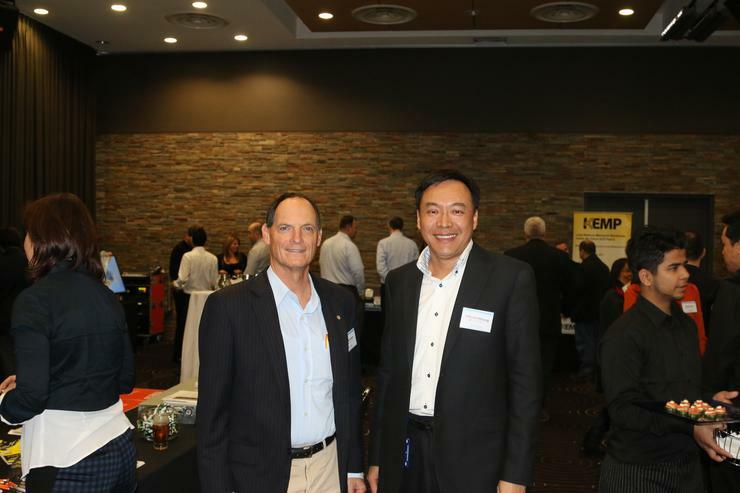 "Those vendors are more into Cloud, virtualisation, storage, VDI and back up solutions. He said the company's overall direction was heading towards the Cloud. "Whether we like or not it's coming. We come from more of a box moving background. With Cloud we need to form a strategy together. "It's very exciting. For the first time Bluechip is moving towards more of a software solution. "The opportunity is there so lets work together to form a strategy and go after all those big opportunities. Bluechip Infotech director, enterprise, Phil Lancaster, who was formerly managing director of TrackIT Online, said the merger had been "a pleasure". "We see ourselves as the Delivio team," he said. "We are not a different company. All of our customers will move across to being Bluechip customers. "Nothing in that respect changes, it's just gives you another layer of support to achieve your goals. He said Delivio would tackle a broad range of markets. "Transactions go from a few hundred dollars in a single server environment to one of the largest key brands in the country, which recently bought a large amount of software from us in the hundreds of thousands of dollars. "We have an avalanche of new terms and technologies and everyone is seeing these bandied about. "But we can actually say Bluechip can deliver in all of these areas." He said the emphasis on managed services and Cloud computing was extremely high in terms of the direction the company was moving. "One of my challenges is to look at some of the software products around and many of the hardware items and provide some glue. "We have got so many point solutions in our suite that allow you do something really well, really simply." The roadshow will head to Brisbane, Melbourne and Perth in coming weeks.